Set against the backdrop of the Iraq War, Richard Linklater’s Last Flag Flying is a road movie that chugs fitfully through military towns, from Norfolk to Portsmouth. The New York Film Festival began this year on a note of muted jubilation, like a fanfare of sighs. Such was the response to the world premiere of Last Flag Flying by Richard Linklater, a favorite of the festival’s organizers and audiences for many years, who stood for the first time in the coveted but perilous spot reserved for the director of the opening feature. Coveted, because the selection of Last Flag Flying elevated the once-raffish author of Slacker to the company of Buñuel, Varda, Fassbinder, and Kurosawa. Perilous, because the first night—which must serve both artistic and fundraising agendas—has also sometimes gone to the likes of Woody Allen’s Celebrity, the picture that proved that no movie is too bad to open the New York Film Festival. Some of those drawling shrugs came from me. But after a little reflection, I’ve begun to think that Linklater has his core audience right where he wants us: more discomfited than joyful, more thoughtful than triumphant. He has risked taking on subjects that are new for him: the aftermath of war and the fortunes of American men a crucial half-generation older than his usual characters. The conventional narrative approach he’s applied to this material poses no difficulties for an audience. And yet, because of his subtlety and ambivalence, Linklater gives no comfort to the viewers of Last Flag Flying, no possibility of understanding the story in terms of political points scored. The only agenda—should you accept it—is to mourn. A road movie of the lurching variety, which chugs fitfully through military towns from Norfolk, Virginia, to Portsmouth, New Hampshire, Last Flag Flying plays out in places built to cramped and thrifty specifications—gloomy bars and flimsy motel rooms, storefronts banged together with particle board, Amtrak cars that have smelled dusty since their first run—with the cement-floored cavern of an Air Force hangar as the sole, chilling instance of any ambition toward grandeur. Ubiquitous Christmas trees neither cheer these spaces nor persuade you to ignore the bad weather, which is predominantly a drenching downpour. The time is December 2003, when, as the characters’ journey begins, American troops are about to capture Saddam Hussein. For some young soldiers in Iraq, though, the present-day war is already over; while for the middle-aged veterans who are the focus of Last Flag Flying, their war of more than 30 years ago seems never to have ended. Doc is the one who sets off the plot and provides its disconcertingly vague center. Played by Steve Carell, who has been outfitted with a droopy mustache, health-plan eyeglasses, and a manila envelope loosely filled with cash, this meek, nondescript fellow shows up one wet night at a tavern located unpromisingly beneath a highway in Norfolk, where, despite being one of only two customers, he has to prompt the bartender to look at him. Recognition dawns at last on the saloon keeper, Sal, a bearded, booming Marine Corps veteran played by Bryan Cranston with the kind of wild-man, insult-comic energy that attracts adolescents and makes mature people head for the door. He sees that Doc is a buddy from Vietnam, a Navy man who, despite his evident mildness, ended his tour with two years in the brig. Sal may have forgotten Doc’s face, but Doc remembers Sal’s recklessness and counts on it the next day, persuading him to drive to an undisclosed location where he’ll find a treat. The destination, to Sal’s initial dismay, is a Baptist church. The surprise, to his delight, is the man in the pulpit, Richard Mueller, a third buddy from Vietnam. Once known as the furiously uncontainable Mauler, Mueller (in the form of a portly, white-goateed Laurence Fishburne) has become a gravely decorous minister of the Gospel. Doc is counting on him, too. As he explains over dinner at Mueller’s house—meekly, haltingly, as if he needed to apologize for his entire life, not just his mysterious two years in the brig—Doc lost his wife to cancer earlier in the year and now has learned that he’s lost his only child as well, who was barely into his 20s and serving with the Marines in Iraq. Doc has no one else. He wants Sal and Mueller to help him bury his son. Two wars; two generations; one overwhelming sense of futility and guilt. As the buddies set out for a funeral that will take them much farther than expected, the news from Baghdad gives them ample opportunity to complain about how young men are repeatedly sent far away to fight people who pose no threat to the United States, and how the military and the government (to these men, it’s the same thing) repeatedly lie about the conduct of these wars. This sort of speechifying isn’t Linklater at his best; but he’s used argumentative political dialogue before (in Fast Food Nation and even A Scanner Darkly), and with the help of screenwriter Darryl Ponicsan, he’s put the lines credibly enough into his characters’ mouths. I’ve heard such disillusioned pronouncements from Vietnam veterans, and I can believe that Sal and Mueller would make them like this, letting their reawakened memories spur them on but at the same time trying to pull back a little, since Doc shouldn’t be told too often that his son died in vain. What I don’t believe is the canned white-versus-black needling between Sal and Mueller (it just doesn’t go down like that) or, even worse, the two men’s almost diagrammatic struggle for Doc’s soul. Mueller, holding fast to his redeemed life by trying to impart a little faith to Doc, keeps urging him to take comfort in prayer and the expectation of heaven. Sal, who is proudly unredeemed, mocks every such appeal with obscene humor, on the principle that only the most base reality is true, and that truth must be faced. For a while, the sheer size of the performances masks the shabbiness of the conceit. It’s hard to resist the gale force of Cranston’s shucking, blustering, joking, and railing, or the combination of deep calm and explosive potential in Fishburne (who demonstrates, when pushed, that this wayside pastor might be a dozen times more dangerous than Sal); and even Carell, quietly resourceful as ever, somehow manages to go big with Doc’s smallness. It doesn’t take long, though, for the performances themselves to expose the phoniness of the conflict that’s been imposed. The audience knows that Sal has the worse argument, because his version of truth-telling is hurtful; but he’s got the funnier dialogue and the more consistently energetic role, and so he keeps winning an unequal contest. Until he doesn’t—at which point, Last Flag Flying seems to take back everything it’s said about warfare across the generations. The people I spoke with on opening night seem to have missed Linklater’s usual fluidity in Last Flag Flying—that feeling of traveling through the unfolding moment, which is such a deep pleasure in the Before trilogy and such a miracle in Boyhood—and they regretted that Sal and Mueller were simplified almost to the point of caricature. (You can find characters with more specificity and depth in Everybody Wants Some!!) But what really drained people’s enthusiasm was the impression of a thematic reversal toward the end of the film: the sense that, after the talk about warfare as lies and futility, after the dramatization of how the emotional wounds fester for decades, Linklater at the last moment had rescued military virtue, even affirmed it. This was the issue I had to rethink, starting with a recognition of the terrible poverty of the characters. By that, I don’t mean they’re impecunious, though I doubt that the wealthiest of them earns more than $35,000 a year. The problem is that—with the exception of Mueller, who has his wife, church community, and Jesus—these people have been stripped of emotional ties. Doc has lost everyone. Sal never had anybody. (He prefers to pass out in his bar rather than sleep at home, and spends his nights haranguing a sole booze-addled customer.) The young lance corporal who’s been detailed to accompany them (J. Quinton Johnson) admits upon questioning that he was an orphan of the Oakland streets who enlisted in the Marines for lack of anywhere else to turn. (Doc’s son was his best friend—and now he’s gone.) Most heartbreaking of all is a poor, elderly widow (Cicely Tyson), whom the buddies visit in her tiny house in Boston. She pretends to be cheerful, living with nothing but the occasional phone call from her grandchildren and memories of the son who was killed in Vietnam. Under Sal’s influence, the buddies intend to tell her a harsh truth about that death—but then, at a turning point signaled by a close-up of Sal, they choose to protect this defenseless woman by lying instead. 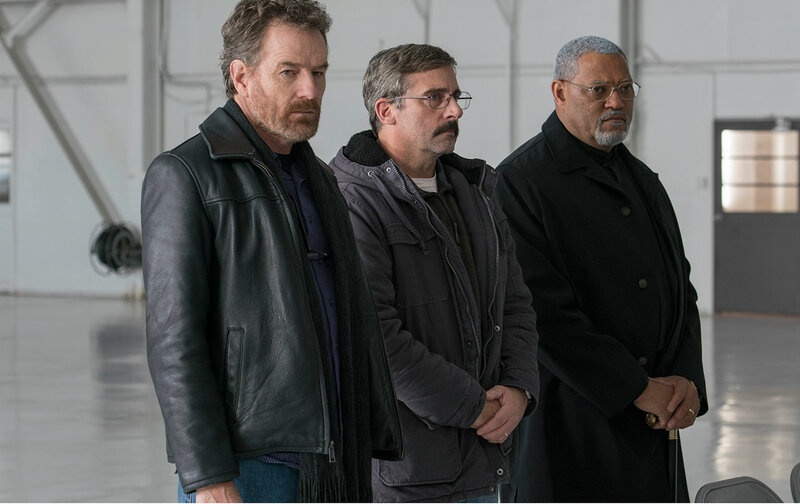 While I was watching Last Flag Flying, I didn’t appreciate how thoroughly the lies filter into the final scenes; nor did I notice that this very talkative movie had suddenly gone mum at the end, as the characters tacitly conspire to establish and maintain an illusion. I just knew the effect was heartbreaking. But having recognized the void that opens in the film as the only alternative to the lie, I don’t think that Linklater has come anywhere close to going soft on militarism and its myths. If anything, he’s been hard: on right-thinking people like me, who know exactly what we believe about the Vietnam and Iraq wars and their apologists, and on himself, a man who was 8 years old at the time of the Tet Offensive and, to date, hasn’t made a film about anyone—military or civilian, American or Vietnamese—who was at mortal risk then. Linklater apparently hasn’t wanted to think about those people. In my determination to stay clear about the issues, I hadn’t thought about them, either—not enough, anyway. But here they are, lingering on, sustained by one another and a lie that’s necessary to them, not official. This is, in literal terms, a film about the impossibility of staring truth in the face when the face has been blown off. 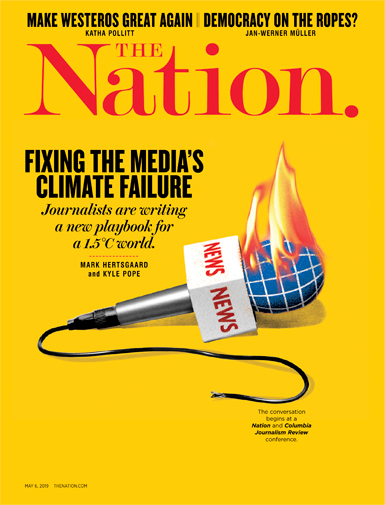 There’s no reason to cheer about such bitterness—but a fanfare of sighs seems appropriate.